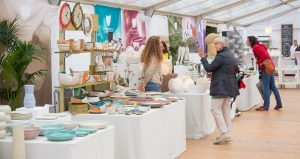 Already in its third consecutive year, the sales exhibition Ceramics and Porcelain in Augarten will take place from 28 to 30 September 2018 in and around the Viennese Porcelain Manufactory Augarten, which is celebrating its 300th anniversary this year. 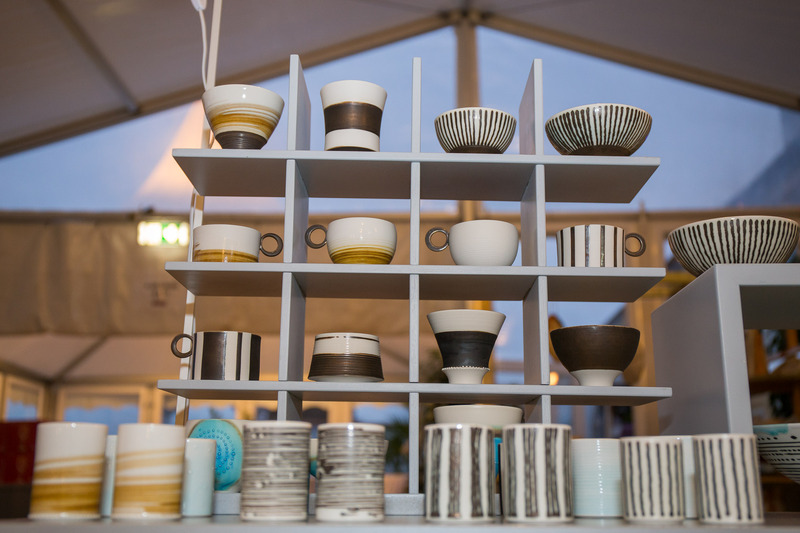 A who’s who of the international ceramics scene will be exhibiting a wide variety of superlatively handcrafted ceramic works. 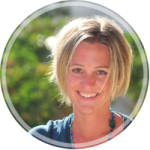 The 50 exhibitors hailing from six countries have been selected by a specialist jury, which on the one hand has put store by prestigious names, but which also, on the other, has given space to young artistic talent, new workshops and small manufacturers. As a result, visitors will be treated to a broad repertoire of colorful stoneware vessels, modern artworks and fine sculptures that can be both marveled at as well as purchased. 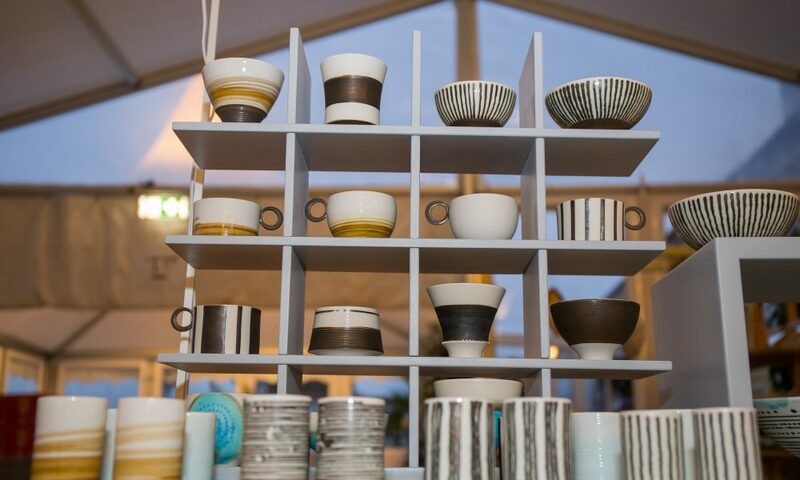 Ceramics and Porcelain in Augarten will also provide budding artists and designers with a space in which they can showcase their works in public. 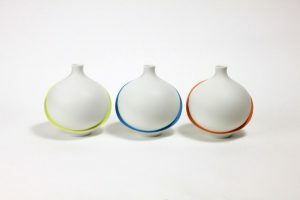 Students from the ‘ArtFashionDesign’ school in Herbststrasse have created a collection of drinking vessels with such sonorous titles as “Coral Reservoir”, “Glacier Beaker” or “Water Bearer” on the topic of “drinking water” as part of their four-year ceramics qualification. 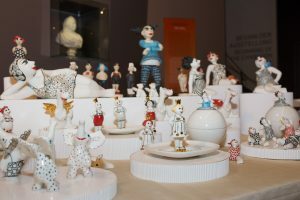 Young designers from the ceramics studio at the Vienna University of Applied Arts will be displaying their artistic exhibits on the subject of 300 years of Viennese porcelain. As the porcelain manufactory is celebrating its founding 300 years ago this year, all of the exhibitors have also taken up the anniversary theme and have designed their own interpretations of 300 years of Viennese porcelain. Take the opportunity to visit the “Forever beautiful: 300 years of Viennese porcelain, 1718-2018” exhibition as well, or witness authentic production techniques on a guided tour behind the scenes. 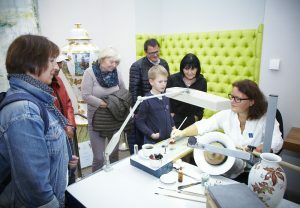 The Augarten experts will be letting everyone peer over their shoulder at a painting and embossing demonstration (that is, the assembly of a figure from a number of individual cast pieces). They will be able to do so without ever losing their concentration, however, since this kind of work requires plenty of patience and a steady hand. You can see for yourself how much work goes into this in exchange for a contribution towards the expenses on Sunday, when you’ll be able to paint your own piece under expert guidance. The guided tours and the exhibition viewing are included in the entry price. For the first time ever, professionals will furnish you with tips on how best to arrange flowers and grasses in various types of vase on Saturday 29.09.2018 from 14:00 to 17:00, for a vase only ever comes into its own when filled, and a well-laid table can only be perfect with floral decoration. 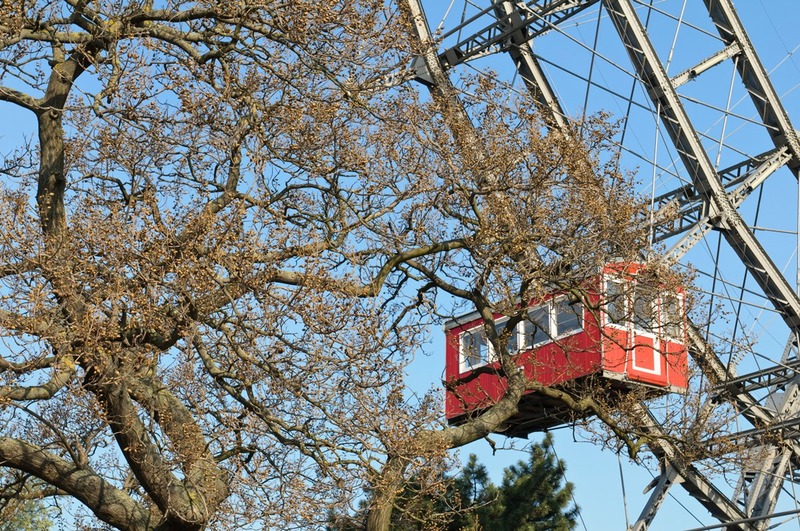 The Augarten is easily reached by foot from the Hotel Stefanie, Hotel City Central or Hotel Capricorno, or you can take the number 2 tram to “Taborstraße/U2” before travelling two stations further with the number 5B bus to “Obere Augartenstraße”.